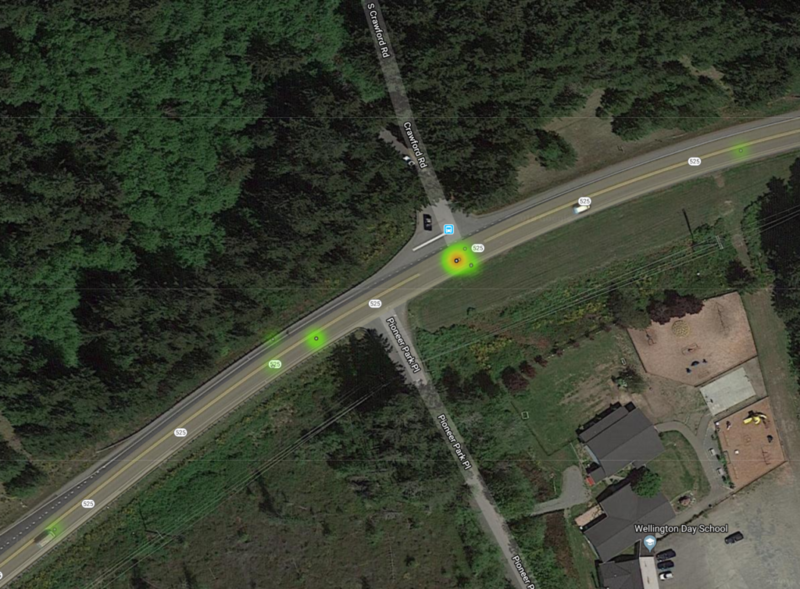 Crawford Road and SR 525 – Accident data visualization. I’ve been fiddling around with data science recently, and I thought that I would share with you a quick visualization that I’ve been working on. One of the things the Whidbey Airpark Access Project is working to resolve are the safety concerns around the Crawford Rd and SR 525 intersection. Although I provided all the data in my post on the bulletin boards, the following is a nice, at-a glance, visualization of all the accidents since 2005 that occurred within 500 feet of the intersection.